Microsoft has agreed to purchase Powerset, a company that is working on linguistics to aid in search techniques rather that normal keyword strings. The start-up has been talked up by this very website about using semantics for searching sites like Wikipedia. Powerset believes that this approach to searching makes for more accurate results. So, for example, instead of searching for shows like 24, you can ask questions like "who is the main star of 24?" and you should get the right results. Now that Microsoft is in charge of the company – there's no word on how much the takeover cost – it will be interesting to see how it uses the search engine's technology. 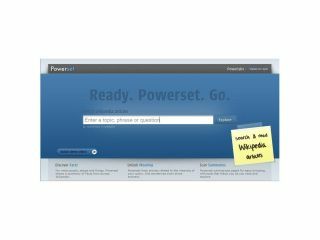 Speaking about Powerset, the company's product manager Mark Johnson said: "Powerset has always been a small company with big dreams, with the ultimate goal of changing the way humans interact with computers through language. "Microsoft accelerates our ability to move Powerset to the entire web faster than anyone could have imagined." Powerset began two-and-half-years ago, but is based on more than 30 years' research at the Xerox PARC research centre in the Silicon Valley.